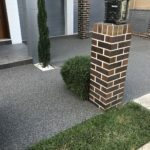 One of the smartest and easiest way to renovate and re-landscape outdoor paving is resurfacing or overlaying your existing tiled or paved pathways. 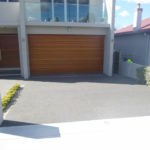 Our client was looking at ways to resurface or even painting external terracotta tiles. 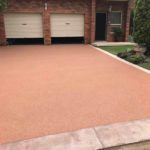 This application of Driveway, Pathway and Pool surrounds demonstrates what a fantastic difference it makes to your homes exterior appearance. 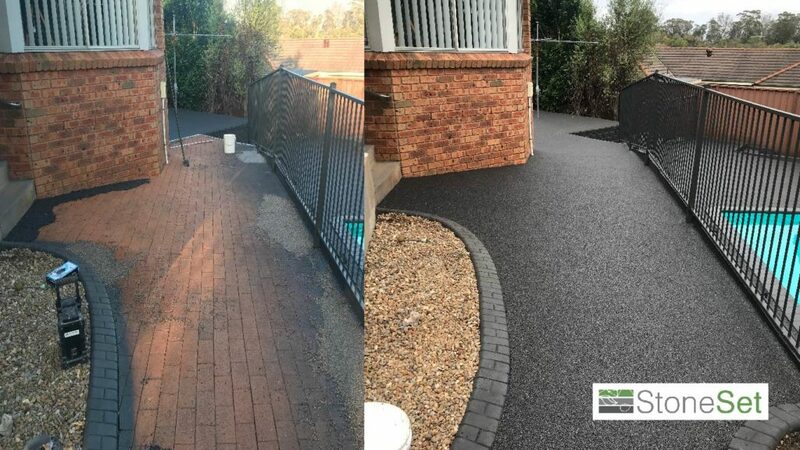 There was a small amount of preparation work required to level off the existing surfaces. 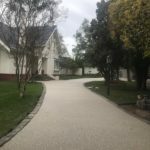 StoneSet coordinated with a landscaper to use self levelling screed to level off some areas whilst still keeping the fall required for drainage. Black is the new orange! 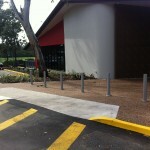 6mm Charcoal was laid at a 16mm depth over 183m2 of dated pavers. 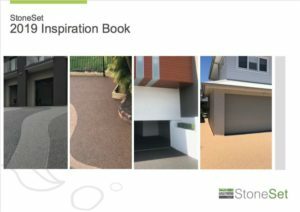 StoneSet was used everywhere! From the driveway, to the pathways and even the pool surround. 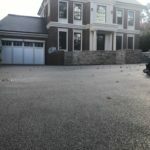 StoneSet completely updated the outdoors of this home and in just a matter of days. 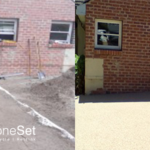 If your old hardscape involves resurfacing cracked concrete, split, or fractured rigid surface, its no problem! Typically it could still be strong enough to provide the foundation for a beautiful new piece of pavement. Why outlay the time and money to rip up a solid foundation just because it’s starting to wear down? 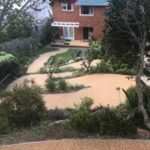 There are plenty of reasons to restructure your worn-out overlay pathways, footpaths and pavement by using it as the foundation for a vibrant new hardscape.